Make your wedding favors bloom when you put then in these beautiful blossom boxes. 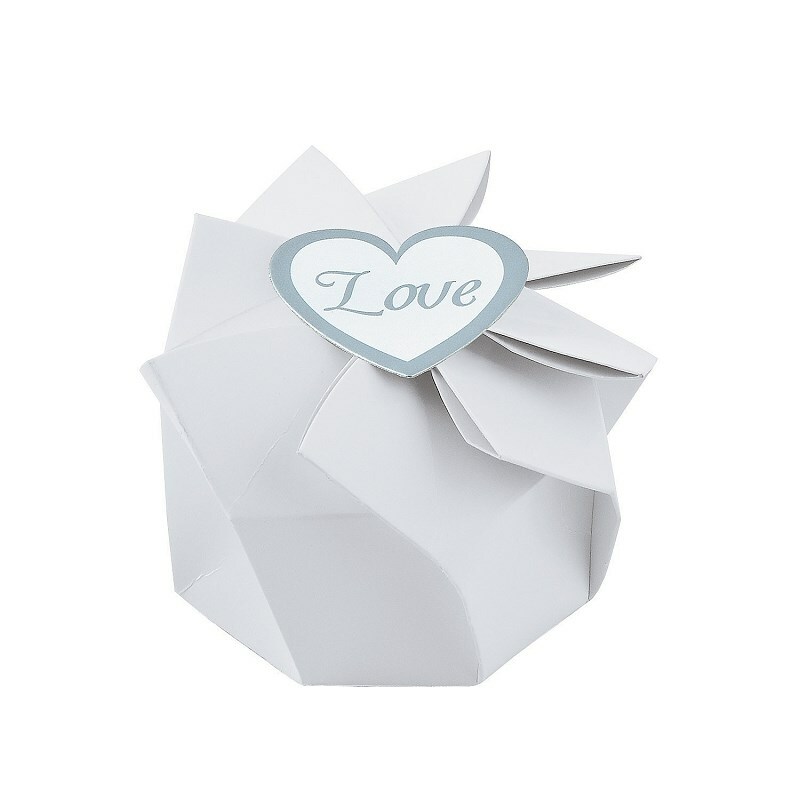 Fill them with your favorite wedding favors and set them on your guest's place settings for an elegant and easy touch. No matter what you put in these enchanting favors boxes, their dazzling design will elevate any event. Cardboard. Simple assembly required. 3"